Yukon rivers are all snowpack fed and it’s always a crapshoot as to when the flows will happen. 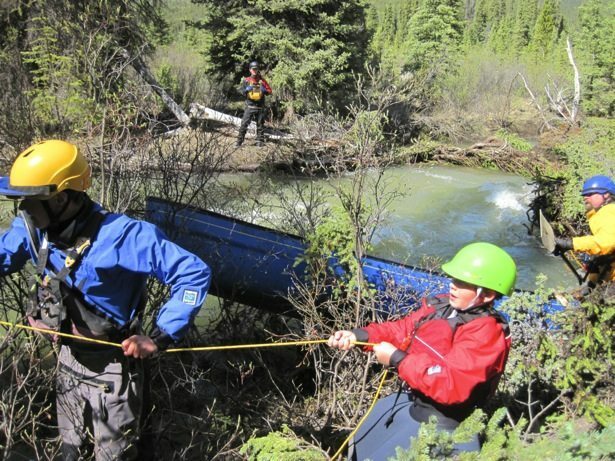 All paddlers in Whitehorse become amateur meteorologists come late May and there are daily discussions about comparisons of snow pack to last year and recent rain levels all in an attempt to figure out when the Wheaton River is going to “RUN”. It’s a class 2/3 river that is about 45 minutes out of town and is located in the midst of an incredibly scenic river valley. It has a couple of different put ins depending on water levels and can either be a great half-day paddle on the weekend or a quick run after work during the week. 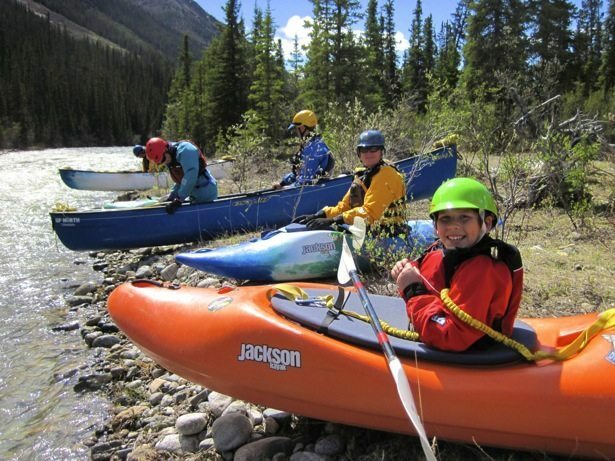 Local companies Yukan Canoe and Tatshenshini Expediting run courses on the Wheaton for anyone interested in learning more and experiencing the river. This year the river ran in early June for a few weeks, quickly dropped and then came back again in early July thanks to multiple days of continuous rain. 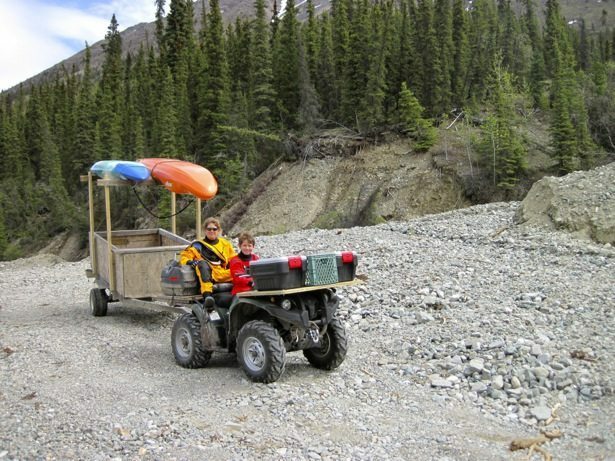 Here are a few fun photos of one of our trips out – higher water levels lead to creative shuttles (ATV & trailer) and this year it opened up a channel that we don’t normally run and there was a near miss in the group with a canoe getting pinned. Lucky to have a group of very handy folks to rescue the canoeist and the canoe! A great teaching opportunity for all the kids with us.